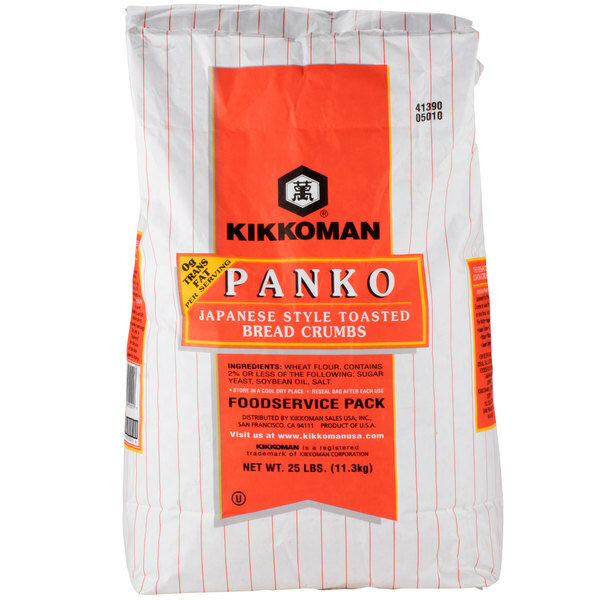 Kikkoman Panko Japanese Style Toasted Bread Crumbs - 25 lb. Add a light and crispy crunch to your most popular fried foods with these Kikkoman panko Japanese-style toasted bread crumbs! 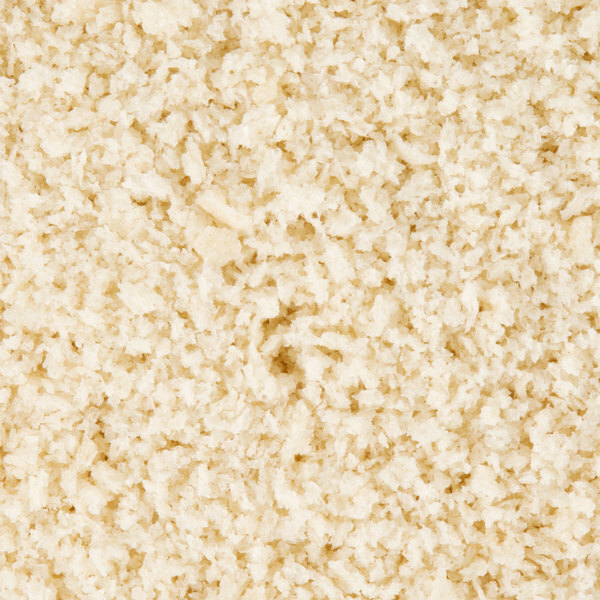 Compared to other types of bread crumbs, panko bread crumbs have a larger crumb size for a crispier coating. 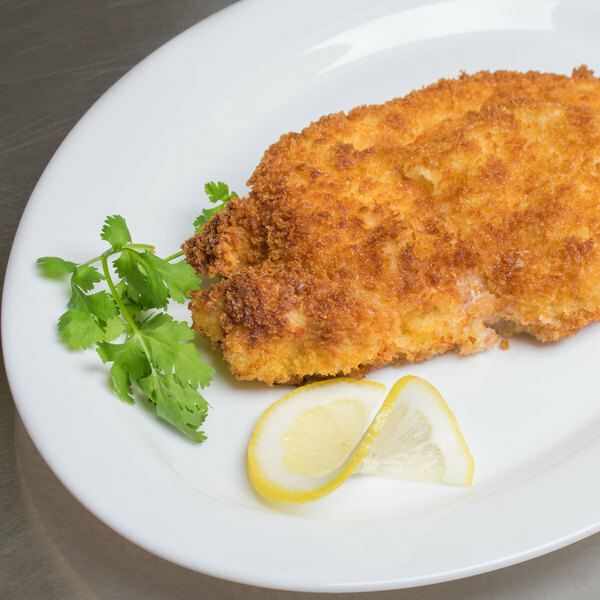 Since these panko bread crumbs are less dense, they won't absorb excess oil or grease when fried and your dishes will have a lighter taste. They're perfect for your lighter menu items, including fish filets, fried shrimp, and other seafood dishes. Offering a wide range of soy sauce and other Asian-style products, Kikkoman is a recognizable brand for your Asian-inspired restaurant, noodle restaurant, or cafe! With their authentic taste, these Japanese-style toasted panko bread crumbs are large, delicate, and crisp. Especially popular in Asian cuisine, they add an attractive golden brown color to any dish! Easy to use for baked or fried foods, these toasted bread crumbs make a crispy coating for chicken, crab cakes, or onion rings. They're great for sprinkling on casseroles before baking or adding a crisp topping to apple fritters and crumbles. They are unseasoned for versatility, but you can mix in your own spice blend to create a signature flavorful breading. 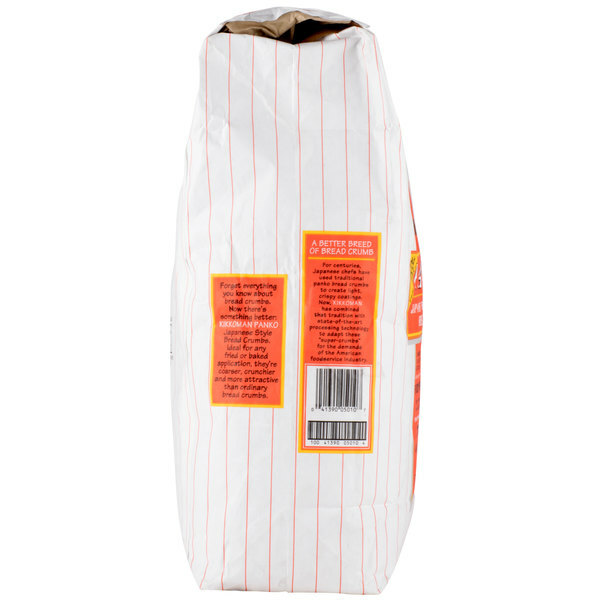 Plus, they have zero grams trans fat per serving, and the bulk 25 lb. supply will keep your commercial kitchen in great supply! 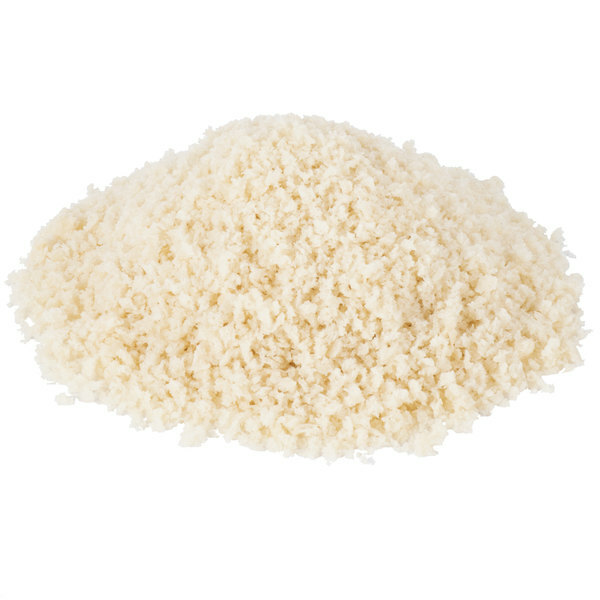 Overall User Rating: Kikkoman Panko Japanese Style Toasted Bread Crumbs - 25 lb. 25 pounds of panko will make a lot of meatballs. The price is great for such a large amount. I use panko in my meatballs and this large size bag will be great. My only negative, which is not worth taking a star away, is the bag makes it slightly difficult to transfer to a storage container as I pulled a few pieces of paper out as I poured. 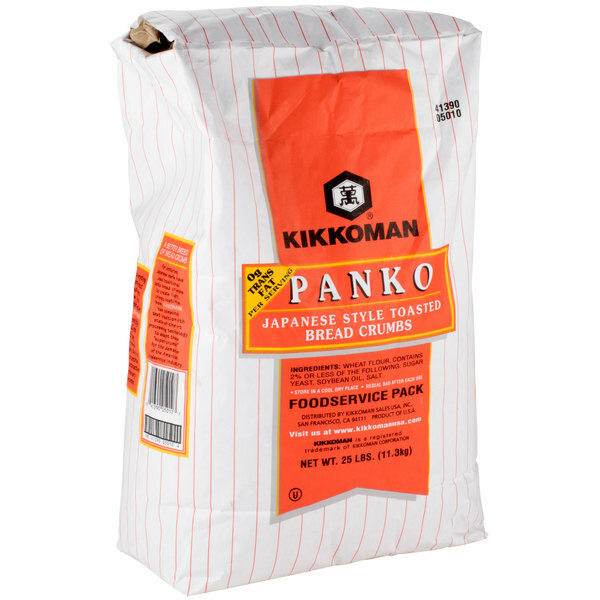 A great bulk bag of Kikkoman panko toasted bread crumbs that are great for coating chicken and fish for frying. The bread crumbs taste great and add a nice crunch when fried.